Paul Wong’s 身在唐人街/Occupying Chinatown Exhibition: 淑芳你好嘛(Suk-Fong Nay Ho Mah) / Suk-Fong, How Are You? We are pleased to present the opening reception of Paul Wong’s exhibition Suk-Fong, How Are You? on January 12. Wong launched his Occupying Chinatown residency at the Dr. Sun Yat-Sen Classical Chinese Garden in April 2018. 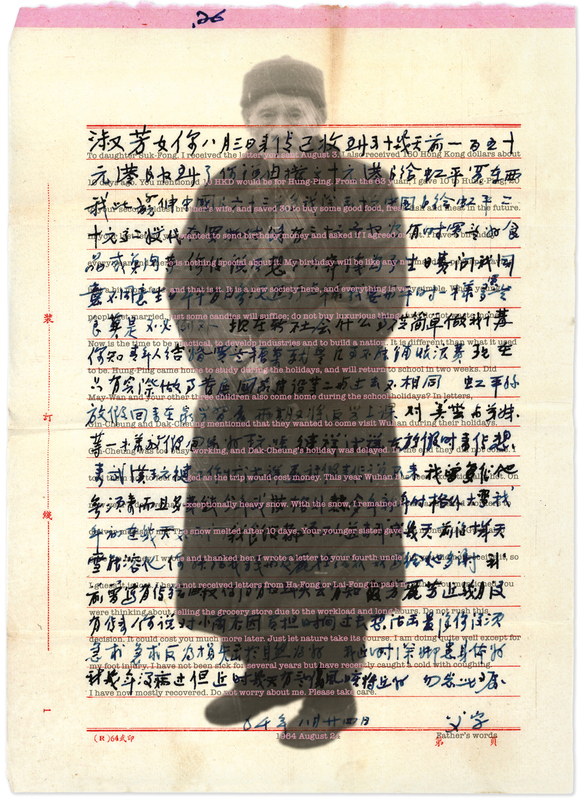 He has since been creating works inspired by over 700 letters in Chinese sent by 90 writers to his late mother, Suk-Fong Wong, between 1946 and 2016. The resulting exhibition includes family artifacts, photography, video, letters, and a neon. Evoking familial memory and histories, this exhibition offers a unique perspectives on Chinese-Canadian lives, demonstrating the interconnectedness between the personal and the political.